York’s Chocolate Story is an entertaining and informative guided tour through the history of York’s most famous chocolate-making families and their finest creations. Visitors can discover chocolate’s origins, how to make it, how to taste it like an expert and even the sustainable future of chocolate. York is the UK's home of chocolate, while other northern centres made their wealth from wool, cotton and steel, York went its own sweet way and built a city from chocolate. This great tradition continues to this day, where all over the city there are echoes of York's chocolate past. 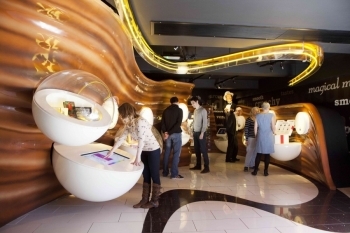 At York’s Chocolate Story a host of surprising secrets and fascinating facts behind York’s greatest chocolate products come to life - from the Chocolate Orange to the globally famous Kit Kat. There is so much to see, including live chocolate-making demonstrations from skilled chocolatiers and a host of fascinating chocolate artefacts. Visitors can even get hands-on and make their own chocolates in the Factory floor and create their very own chocolate delights.